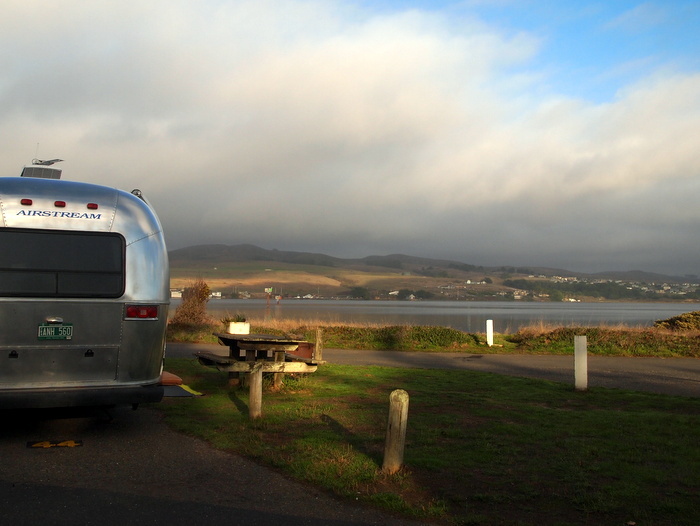 In case you missed it last time here’s our site at the Westside Regional Park in Bodega Bay. It’s a fairly small country run RV park located on the north end of the bay just past the marina. It falls under the category of what I call a no frills campground laid out in rows of paved pull-thru sites with grass strips between. As you can see our site is in the row closest to the water. This is not the kind of place you come if you crave privacy or even a few trees between you and your neighbor- but since in our opinion you can’t beat a waterfront view, we don’t mind. The only real drawback to this RV park is that it offers no hook ups which means a constant hum of generators all around. And when I say constant I mean constant. During our first night here the people behind us ran their generator all night long. Why? What in the world could you need so much power for at night, all night? It baffles me. Our neighbors too seem a bit generator happy and have been running their two generators for 4-5 hours at a time several times a day. It’s not hot enough for AC and not cold enough for the furnace (2 things we know use lots of power), so what are they using so much power for? At least they turn them off at 10:00 every night. Don’t get me wrong, just because we’ve gone solar doesn’t mean we’ve turned into anti-generator snobs. In fact just yesterday we had to join in the generator fun because the sun refused to show itself which meant no solar power for us. But after 2 hours we had generated all the power we would need for the next 24 hours. I can’t imagine running it all day, or all night for that matter. Not only is that a waste of resources, but it’s not very neighborly. Okay. I said my peace and now I’ll stop whining and move onto the fun stuff. Fun stuff like hiking on the bluffs and exploring the beach. 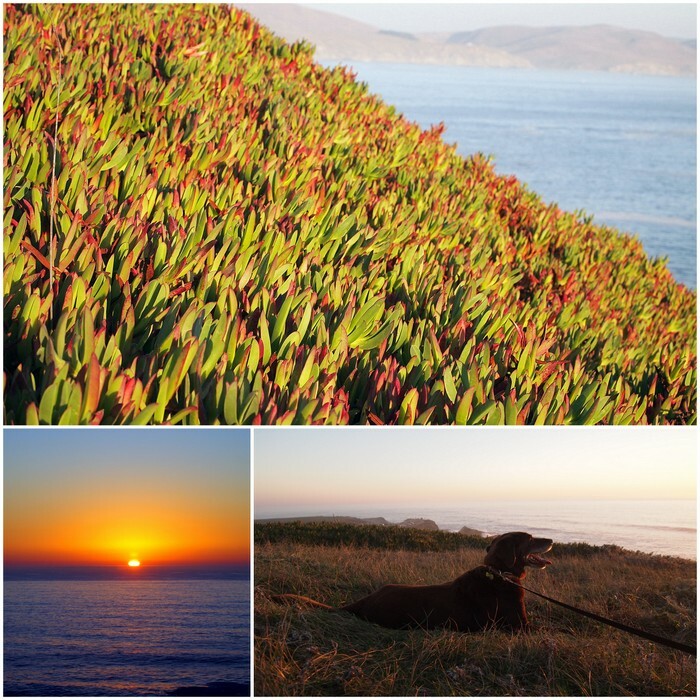 A few miles down the road from the campground is Bodega Head, a four mile long point that forms the tip of the peninsula which protects Bodega Harbor from the relentless ocean waves. The area is known for its fantastic views and popular walking trails. We followed the network of trails around the headlands, stopping along the way to marvel at the scenery and cautiously peer over the edge of the cliffs. As a special treat we even spotted some gray whales in the distance. These whales migrate down the coast from their feeding grounds in Alaska to the lagoons in Mexico every year swimming 24 hours a day for nearly 5,000 miles. Whew! Makes me tired just thinking about it. November is just the start of the migration season so hopefully we will continue to see these majestic creatures as we too migrate down the coast. 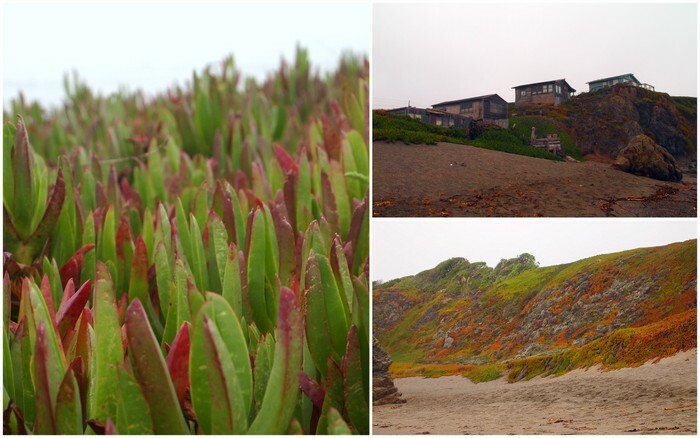 Our second outdoor excursion was a visit to the Sonoma Coast State Park. This 17 mile stretch of coastline between Bodega Bay and the tiny town of Jenner is a collection of sandy beaches separated by rocky bluffs and headlands. Unfortunately, due to the fiscal problems in California many of the beaches in this park are closed to the public. We’ve been seeing these kind of closures and cut backs all over California. It’s sad that in a time of financial trouble, the natural areas that we want to preserve, protect, and enjoy must be sacrificed. We heard the other day that nearly a quarter of California State Parks were slated to be closed this past July. Before the deadline a few were saved by private and non-profit groups, but many more are now closed to the public. As visitors to the state this is disappointing and frustrating. I guess all we can do is continue to enjoy the parks that are still open. Lucky for us one of the Sonoma Coast beaches that remains open is also dog friendly. Portuguese Beach is a sandy bit of beach nestled between tall rocky bluffs. The surf here is rough and wild which makes for some very exciting wave watching and some very scary swimming. In fact, none of the beaches along the Sonoma coast are recommended for water activities of any kind. 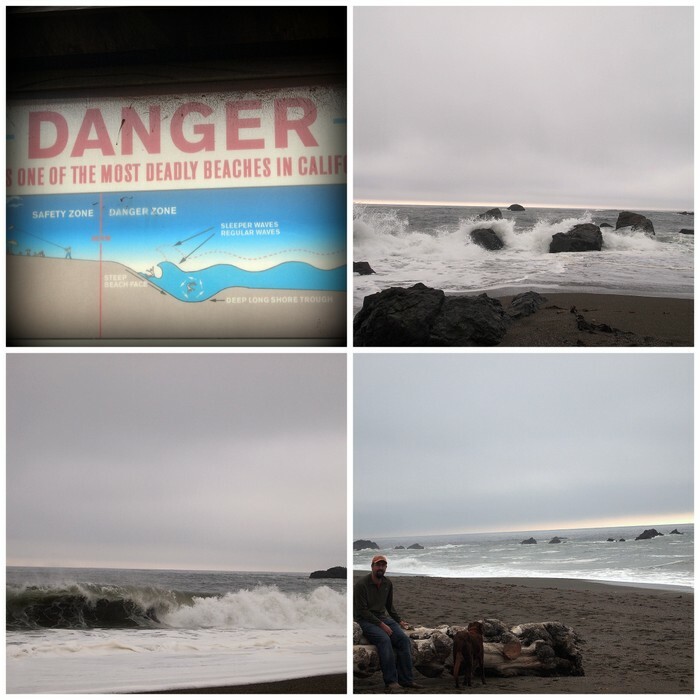 No problem here- we had a great time walking along the shore and watching the enormous waves crash up on the beach and wash over the jagged rocks. This was also a great spot for beach-combing. The rough surf grinds an amazing variety of rocks and shells into tiny, shinning bits before depositing them on the shore. 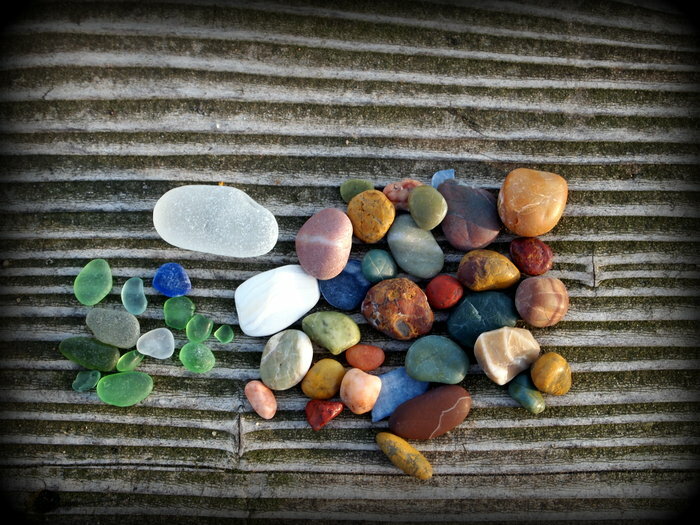 We each collected a pocket full of mini pieces of seaglass and colorful rocks. It’s hard to tell from the photo but the largest of these rocks is no bigger than a quarter. 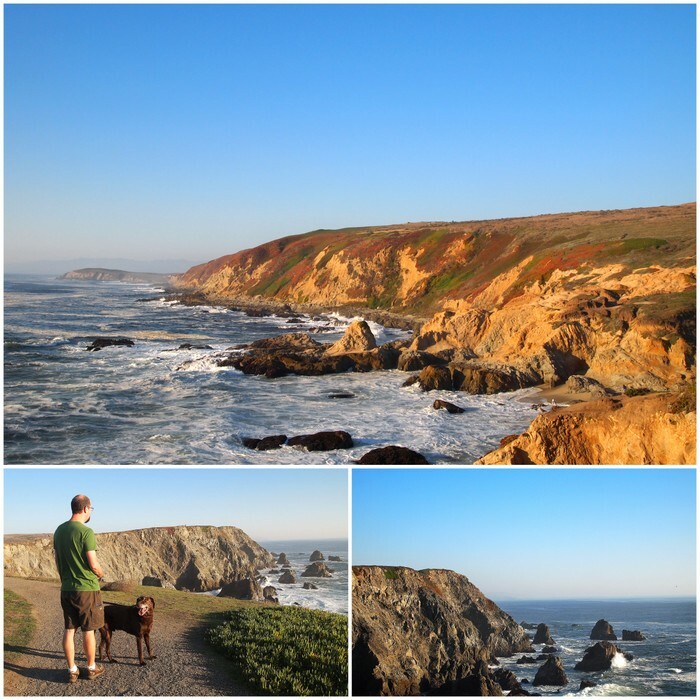 We very much enjoyed our stay in Bodega Bay. 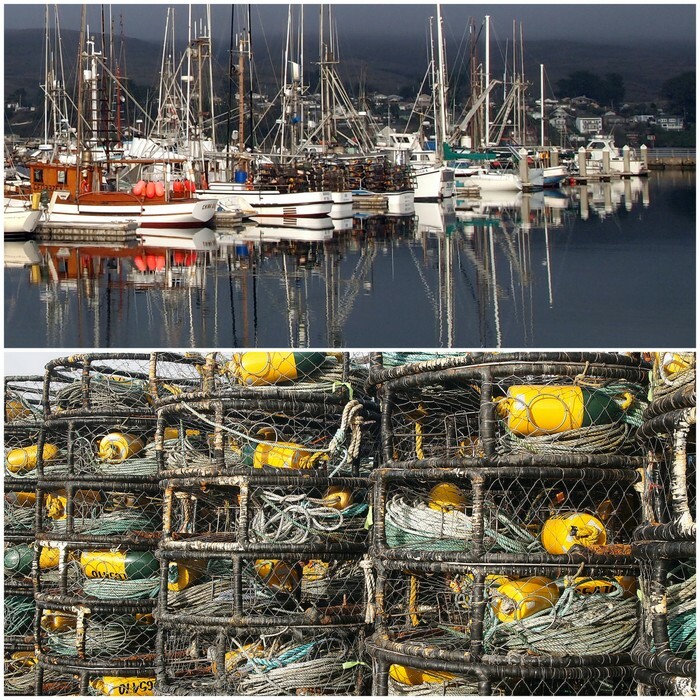 The slow pace of this sleepy fishing and surfing hamlet combined with the gorgeous natural areas made for a wonderful stop along our tour of the CA coast.